Wholesale t-shirts from our Next Level collection, all blank, cheap, and perfect for printing. Buy these cheap tees in bulk and buy them with confidence, knowing you’re getting quality products for the best prices around. Please contact us if you have questions about wholesale pricing or more options and variants. Best Seller! The Jerzees 29M is Jerzees’ 50/50 cotton poly blend. It’s one of our most popular and best-priced wholesale t-shirts for bulk t-shirt buys and printing. The 29M has shoulder-to-shoulder taping and a double-needle stitch for the sleeves and bottom hems. Also known as the Gildan 5000, the G500 is one of our best T-shirts for bulk printing. For one, check out the unbeatable price. For two, most colors come in 100% cotton. For three, if you buy more than $300 worth, you get an additional 5% off! Don’t see a color you need? Wholesale t-shirts from our District Made. These District Made tees are perfect for printing, embroidery, or embossing. 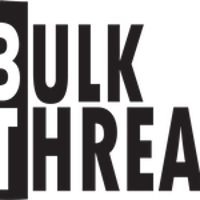 They’re also high quality and cheap, because we at bulkthreads.com want you to buy in bulk, buy with confidence, and buy without regrets. Contact us if you have questions about options or variants. Best Selling Women’s next level Tank top ! Great for those hot days outside, or at the gym! Blended and already laundered to reduce shrinking. Lightweight at 4 oz. So many colors from standard to bold. Ringspun cotton gives it a jersey type feel. Tear away label for comfort. Gildan top brand for T shirt with 100 % cotton tee available for both full sleeves and half sleeves. These are known for softstyle tee . Also buy various collection of hoodies for kids, mens and womens.